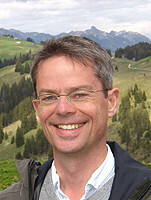 Dominik Perler is Professor of Philosophy at the Humboldt-Universität zu Berlin and Member of the Berlin-Brandenburg Academy of Arts and Science. His research focuses on medieval and early modern philosophy, mostly in the areas of ontology, philosophy of mind and epistemology. He had a number of visiting positions (at UCLA, Tel Aviv University, University of Wisconsin-Madison) and is currently Global Scholar at Princeton University. Within Topoi, he works on the use of spatial concepts in medieval and early modern theories of the soul. He is a member of the research group (D-2) Mapping Body and Soul.